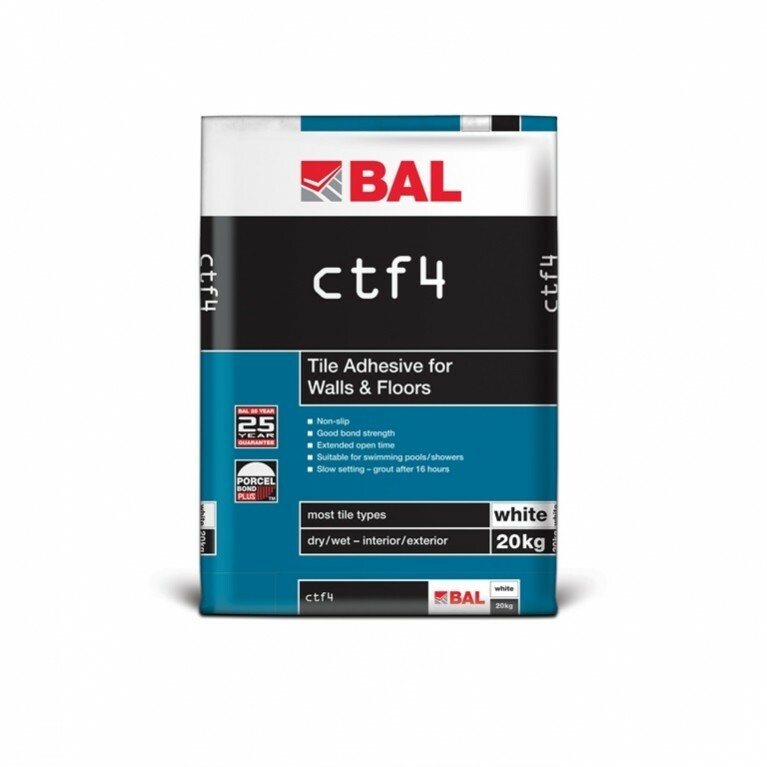 Highly flexible and water/frost-resistant, BAL Superflex is suitable for grouting wall tiles with joints up to 5mm. 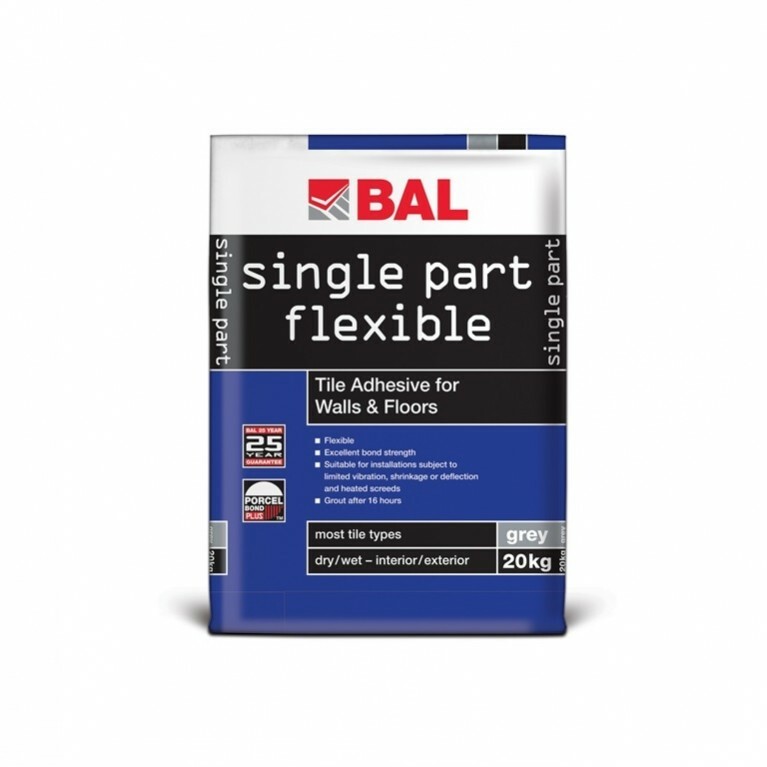 Recommended for swimming pools, power showers and areas of limited movement, BAL Superflex has a built-in admixture for increased flexibility and high bond strength at the edges of tiles or mosiacs. Please note this product is not suitable for food preparation/storage areas and areas requiring waterproof grouting. 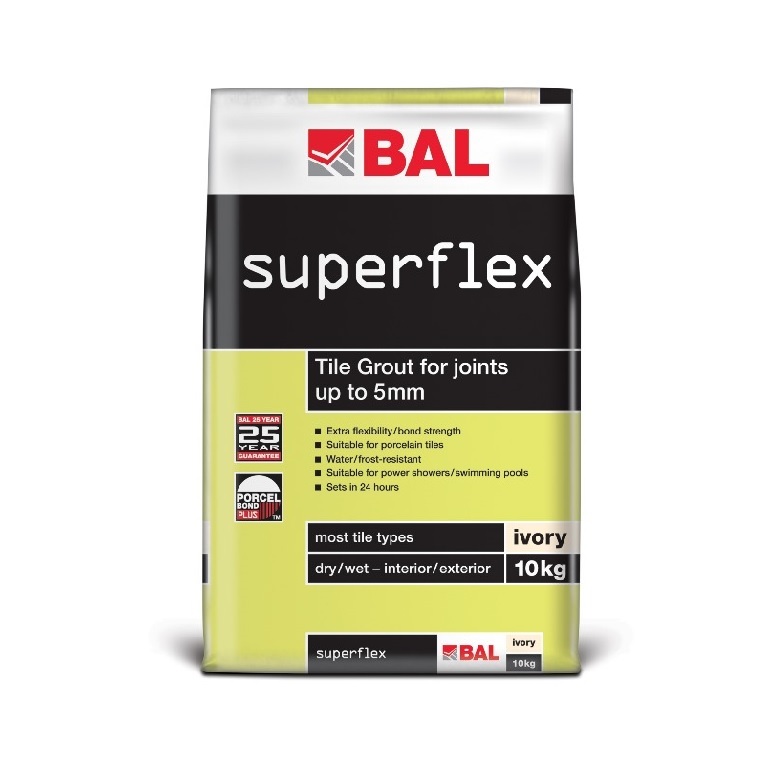 BAL Superflex grout offers numerous benefits to the end-user and is suitable for commercial and domestic projects. . 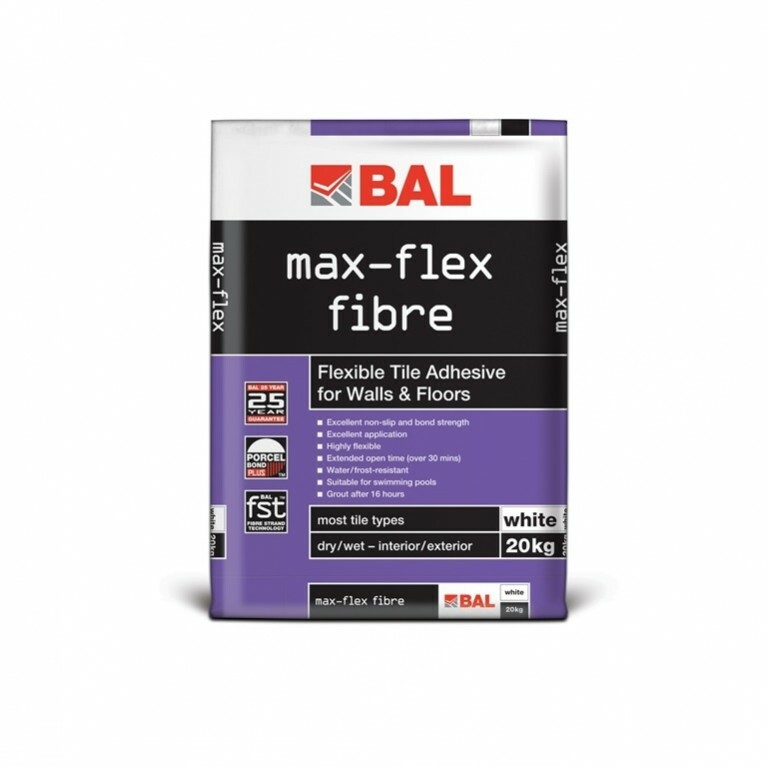 Suitable for grouting porcelain, glazed and fully-vitrified tiles, glass and ceramic mosiacs, marble and natural stone tiles with joint widths up to 5mm, BAL Superflex is highly flexible enabling it to withstand heavy use, vibration and movement. 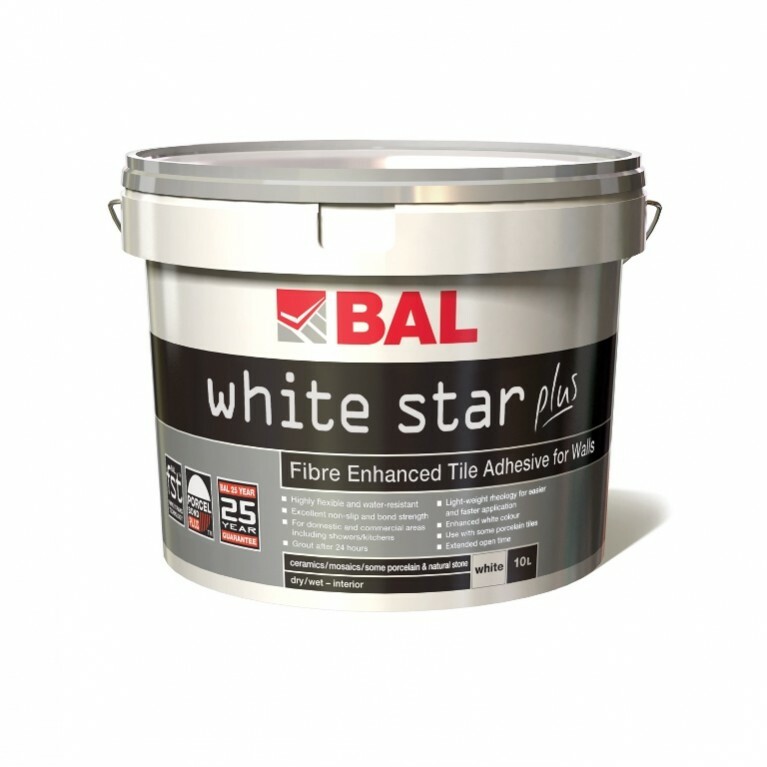 Available in white and ivory, BAL Superflex comes in pack sized of 10kg and 3.5kg and achieves typical coverage of 6.08m² per kg for 200x200x6mm tiles with joint width of 2mm.